As we huddled under the covers with our coats on in the dark and cold last December, Hydro was on our minds. The ice storm and its aftermath had us all asking questions. Why was it such a massive outage? What was taking so long to fix it? Why is our system so vulnerable? Who is responsible? How can we make sure this never happens again? 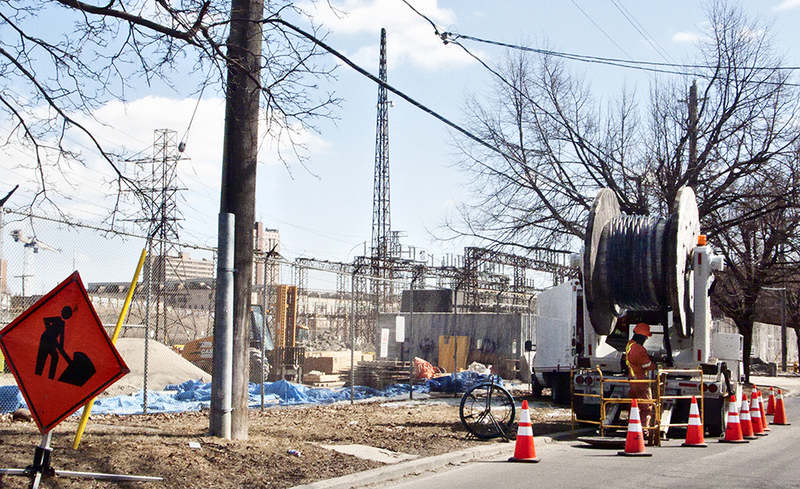 “- Toronto needs to examine burying its hydro wires on a multi-year plan. 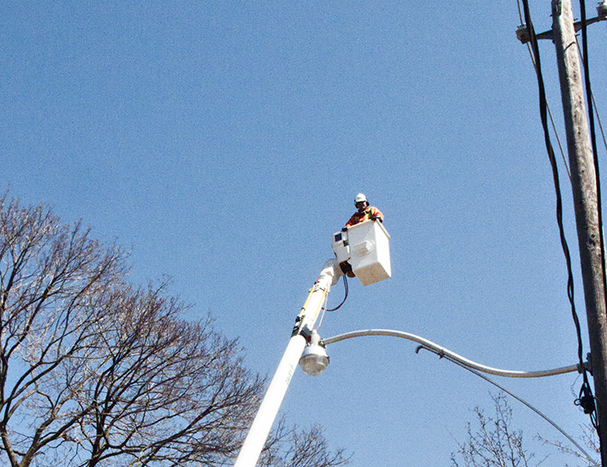 One can appreciate Toronto Hydro’s reluctance for financial reasons. However, it is now clear that the cost of these kinds of storms needs to be a part of the calculation. If the Ontario Energy Board has a concern with altering the cost/benefit calculation for burying wires, and providing the financial resources necessary to do the work, then the province needs to direct the OEB to a different policy. The work can be done over a 20-year period as streets get reconstructed. 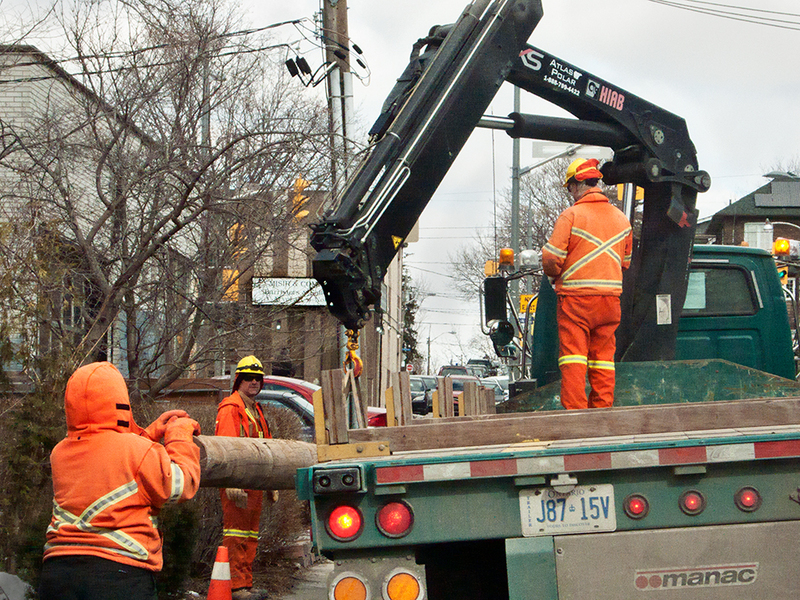 – We have lost approximately 20 per cent of the city’s tree canopy. Burying hydro infrastructure would also better protect our urban forest. We asked Paul Kahnert, a retired Toronto Hydro worker and spokesperson for the Ontario Electricity Coalition, for his analysis. Here is his account of Hydro and the state of its operations from its origins up to today. Hydro rates are sky high. Industry and business are complaining about being gouged. People have trouble paying their hydro bills and the economy is weak. It’s late 1905 and the battle for public power has been raging for ten years. Rates are eight to ten cents a kWh (kilowatt hour) and only the wealthiest can afford electric power since electrical infrastructure is built where it is profitable. The forces for public power are led by Sir Adam Beck, former conservative member for London, Ontario and now London Mayor. Beck is backed by business and industry who are tired of being gouged by private power producers. Sir Adam Beck has been touring the province with his electric light show for years. His slogan is “Power at cost, for the people”. Eighteen referendums on public power are held in municipalities across the province. In 1906, the battle is won and electricity in Ontario becomes publicly owned and produced ‘at cost’. Rates drop by more than half to four cents a kWh and this is still high enough to pay for all new construction and expansion of the electrical system, province-wide, for everyone. That’s how Ontario Hydro was formed, as were municipal electric commissions like Toronto Hydro. As the system grew, utilities were built and set up across the province as non-profit, ‘at cost’ commissions. Enshrined in law was the regulation that if a municipality wanted to sell its utility it had to hold a public referendum first. This law stood until 1995, when it was repealed by the government of Mike Harris’ Omnibus Bill 26. Rather than huge profits going to private power, benefits from ‘at cost’ Ontario Hydro and municipal electric commissions like Toronto Hydro went to businesses and citizens in the form of low and stable rates. This was one of the main factors in making Ontario the economic powerhouse of Canada. Industry and business prospered with the competitive advantage of ‘power at cost’, as did a growing public sector, providing millions of good jobs for over 90 years. Good jobs and full employment in Ontario have always been directly linked to at-cost, non-profit, public power rates. Fast forward to 2014. Hydro rates are sky high. Industry and business are complaining about being gouged. People have trouble paying their hydro bills and the economy is weak. Rates are double what business and citizens pay in Manitoba and Quebec. How did we get back here again? The Ontario election of 1995 resulted in a majority for the Progressive Conservatives. Premier Mike Harris immediately started criticizing Ontario Hydro for its debt, which was almost 100 percent nuclear. Public nuclear debt that was no worse than debt in private nuclear companies in the U.S. and elsewhere. There were no demonstrations at Queen’s Park demanding that Ontario Hydro be privatized; those demands came from everyone who stood to profit from the privatization of hydro. The Tories passed two key pieces of legislation. In 1996 it was the 2,000-page Bill 26, The Savings and Restructuring Act, also known as the Omnibus Bill. This laid the groundwork for everything from amalgamating cities to selling off public assets. Hidden deep in the bill was the elimination of the law requiring that a public referendum be held in order to sell a public asset like a local hydro. The second piece of legislation was Bill 35, The Energy Competition Act. The first line of the bill states, “An Act to create jobs and protect consumers by promoting low-cost energy through competition, to protect the environment…“(emphasis added). With that, Ontario Hydro was split up into Hydro One, the distribution or wires company, and the Ontario Power Generation (OPG). The legislation changed Hydro One, OPG and all the municipal utilities from ‘at cost’ commissions into ‘for-profit corporations’. Though still publicly-owned, they were expected to act like private corporations, hence the high salaries of the executives. Ironically, the final Ontario Hydro report of March 31, 1999 said that the corporation was in good shape and had paid down $1 billion in debt. At that rate the debt would have been paid off in fewer than 20 years. (Wouldn’t we all like to have had a 20-year mortgage?) The Bruce Nuclear Generating Station was leased to a private consortium but without the debt. The Tories privatized the profits. What was left public was the debt, the risk and the pollution. The private consortium could walk away and we the people would be responsible for billions of dollars to decommission the plant. We’re still paying that stranded debt on our monthly hydro bills while the consortium takes out of Ontario over $600 million a year in profits. You can’t store or stockpile electricity as with other products and this makes the supply easy to manipulate. During the 1990s a con was invented by Enron, the company that committed some of the biggest frauds in U.S. history. This con was the electricity market. A few examples: when deregulated electricity markets were introduced into Alberta, rates tripled. In Montana, rates went up five times. In California rates went up more than ten times and also resulted in blackouts and a rotating blackout crisis. Enron caused similar crises in India, New Zealand and in some Australian and European jurisdictions. Enron was later found to have been manipulating markets to make obscene profits. The Ontario Electricity Coalition (OEC) was formed in December 2001 by some unions, seniors, environmental organizations and social justice groups to advocate for public power. A week-and-a-half later, at Christmastime, Mike Harris followed through on Bill 26 and announced the sale of Hydro One, the province’s distribution system. The Ontario Electricity Coalition’s union partners CEP and CUPE took the Harris government to court to stop the sale. At the same time, the Coalition held public meetings across the province and attracted serious attention in the media, including a 20-minute piece (The OEC and Public Power in April 2002) on CBC’s The National. The unions won with the court‘s decision that the government did not have the right to sell Hydro One. The judicial victory was hollow, however, since most people subsequently believed that the privatization threat was over. As the premier was replaced and energy ministers frequently changed, the Tory government continued to rejig the electricity market. The Tories were defeated in the provincial election of 2003. A major plank of the NDP platform in that campaign was “Public Power.” Low in the polls, Liberal leader Dalton McGinty said in an exclusive interview with the Toronto Sun’s editorial board on September 5, 2003, “Deregulation and privatization hasn’t worked and we can’t go back there. I’ve drawn a lesson from that. Number one, we’ve got to keep hydro public”. He assured that under the Liberals, deregulation would be dead and the electricity market would be eliminated. Once elected, however, he broke his promise to close the electricity market and get rid of deregulation. As a result of the high privatized hydro rates, Ontario’s economy, the manufacturing sector, and private and public sector employment have all been hit hard. Throughout the OEC’s Campaign for Public Power, the main question was this: hydro in Ontario has been at-cost and non-profit for 95 years. Ontario was promised lower rates under deregulation and privatization. But how do you get lower rates when you add in profits to generators, distributors and retailers; dividends to investors and commissions to commodities brokers? This question was never answered. Right now, facilitated by the electricity market, private power is taking more than $1.5 billion in profits out of Ontario every year. – At Amalgamation in 1998, Toronto Hydro had 2,600 employees. Now, after years of downsizing, there are approximately 890 unionized employees. As a result there is a huge knowledge deficit in Toronto Hydro’s system with only a handful of people left who have that knowledge, gained from training and experience. – At the same time, management numbers have increased to approximately 500 including nine vice- presidents at an average salary of $400,000; 20 newly-created director positions at a $30,000 increase in salary, over 20 managers and scores of newly-hired supervisors over the last few years. Toronto Hydro now has one management person for every 1.8 union employees. Anthony Haines’ compensation is over $1.1 million per year including his pension payments. He also went to court to get his bonus made pensionable. In 2000, the Toronto Hydro CEO’s pay was $199,999.00. – The material management center has been moved to Vaughan. 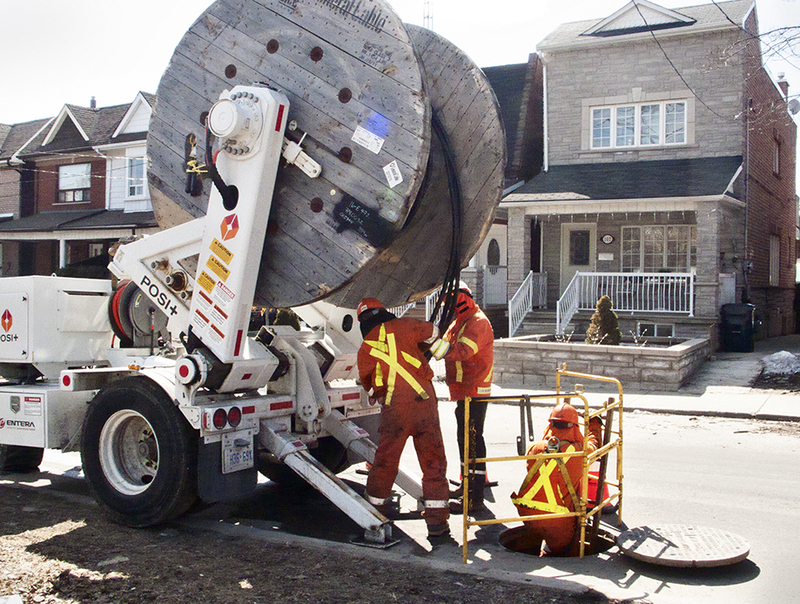 How does a company that is so dependent on materials like transformers, wire and connectors getting to the job site in a timely manner do this effectively when the material is located outside of the city, in Vaughan? – Most of the contract work has been replacing a hydro plant that is 30 to 40 years old but work on the old downtown plant that is 50 to 80 years old has not been done, despite record amounts of money being granted by the Ontario Energy Board. 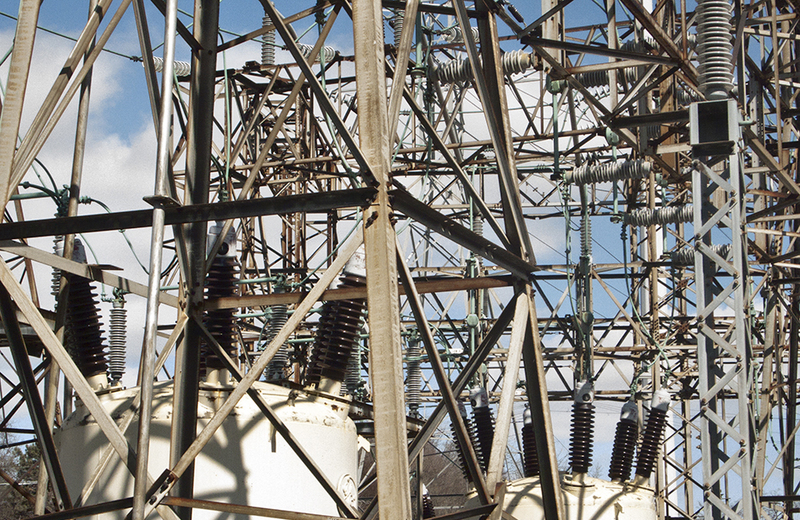 Insiders know that downtown substations and the network system are at risk for major failures. Toronto Hydro is still a publicly owned company. As we saw during the ice storm, there are major problems here that should be investigated by independent auditors. Toronto City Council should take this initiative. It’s going to cost a lot of money to rebuild hydro, water and sewage facilities, roads, bridges and all the infrastructure that we need in Ontario. There are two choices for how to pay for this work. One is public borrowing. Governments can borrow at far lower rates than private companies and can make payments over a much longer period of time with such options as 40-year public debentures. Governments can have this work done at cost with no profit motive. The second choice is to have private companies do the work. They will have to borrow money at much higher rates and will be required to pay it off much sooner while maximizing their profits at the same time. There’s also a myriad of ways to pad the bill. You can guess who’s going to pay in the end. Public funding was how infrastructure was built after the Second World War. There was massive public borrowing to build all of our public infrastructure and it led to decades of prosperity for everyone. Now that infrastructure needs to be built again, in a sustainable way. We need a hydro system that is publicly owned and operated in the public interest. It needs to include plans for energy conservation and publicly owned green power. This means closing the electricity market and regulating rates. 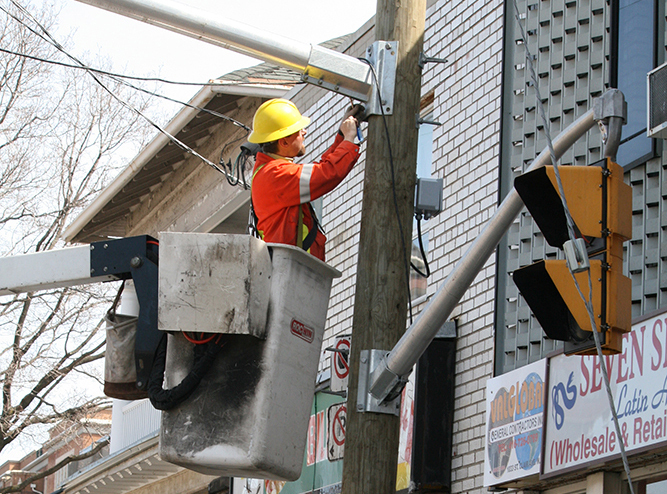 It means changing municipal and provincial utilities back into ‘power at cost’, non-profit commissions, with public oversight. These are the institutions where the rubber hits the road on conservation. They are also the economic and environmental levers that government needs to have. When we hear politicians say “we can’t afford to rebuild hydro” as well as all other infrastructure, we have to think, if we can’t afford to rebuild our infrastructure publicly then we certainly can’t afford private. 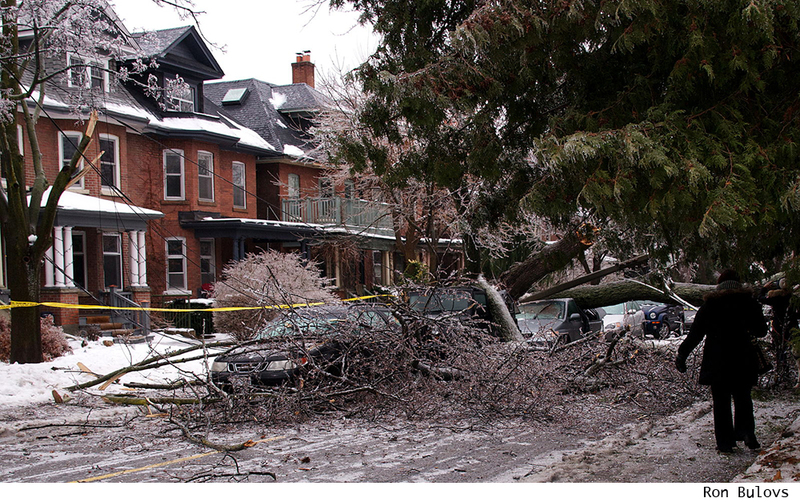 Read more by Paul Kahnert on Smart Meters, Selling Toronto Hydro and the 1998 Ice Storm. 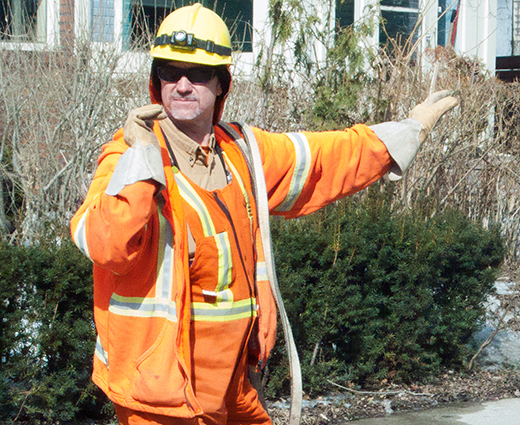 Paul Kahnert is a retired Toronto Hydro worker and former spokesperson for the Ontario Energy Coalition, 2001-2010. This article is part of our POWER issue. Overhead hydro wires on wooden poles a thing that startled me when I came here from Europe in 1990. Never seen anything like it in any city. I wish political bashers of both conservatives and liberals would read this very informative article and reflect on the path that has led us to the state where we have turned the public trust into private profits. There’s no use pointing fingers over this or trying to turn it to political advantage. We’re all suffering, and will continue to suffer, from the misguided policies that have allowed our public infrastructure to become a money-making machine to keep the rich becoming richer. We need to band together to take back the basic services that society needs to control and manage for the common good. Tags: Adam Beck, Campaign for Public Power, Enron Con, Hydro One, Omnibus Bill 26, Ontario Electricity Coalition, Ontario hydro, power at cost, Toronto Hydro, Toronto ice storm. Bookmark the permalink.